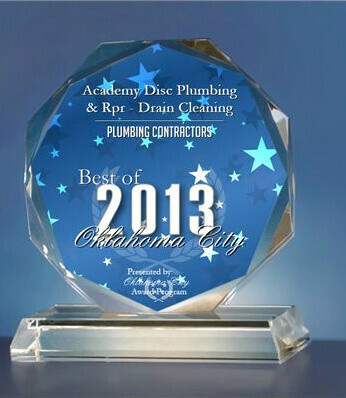 There will always be plenty of reasons to have to hire a plumber in Oklahoma city, Ok and some of the reasons for hiring plumbers might be running service maintenance on your water heater or boiler. Your tech will accomplish these services by setting your elec-trodes, checking the air filters and orifice, replacing elements, or any other repairs or replacements. Some other reasons why your techs are a great help is if your Water Heaters are in need of cleaning and adjusting. We will tell you that Water Heaters should always be cleaned and or adjusted at least 1 time a yr.
Now a lot of times your faucets will start to drip or leak and this will cause you to use a lot of water and raise you water bill. Just one drip per minute can use up to ten thousand gallons of water a year. These drips will also cause damage to your faucets. 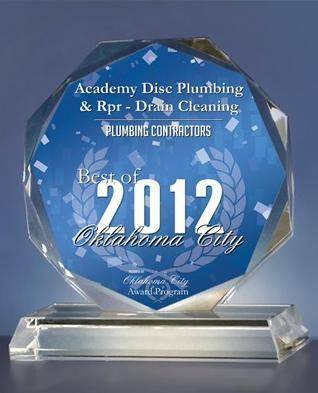 So you will need to find a company to repair or replace you leaky faucets. Other problems with you home will include slow running or stopped up drains. If you are having these kinds of problems with your pipes you will need to call us to inspect and snake your drains to try and alleviate the problems. Your drain cleaning and proper inspection do require a lot of experience and training in the field. You will need a highly experienced Licensed contractor for this job. They will usually know the lay out of your pipes and can closely second guess how the original tech installed the plumbing. You regular Roto Rooters or handy man with a snake just won’t know what’s under the ground or concrete. They will be guessing at best and can cause major damage and more problems to contend with. Also your local Roto Rooter or handy man can not legally repair or replace any damaged or collapsed pipes that they may run into. While it is legal to run a snake in most cites without a license it is not legal to do any repairs or replacements so you will end up having to call a real company anyway in most cases and end up spending more money in the long run trying to save by calling the non experienced company. Besides drain cleaning, you can add a water filtration system instead of always having to buy bottled water, this is another way your contractor may help. Our techs will add a water filtration system. This will save money and can reduce our carbon footprint. Most people are changing out their faucets and toilets to those that use a lot less water. You can do this while remolding or if you just want to upgrade. We can get this done for you in an efficient and fast time frame. You can chose from many designs and options. There are a lot to chose from and a new upgrade will make an old bathroom or kitchen look very much new again. We can install a radiant heat system in you home to improve your comfort and also improve your homes efficiency. Your new radiant heating system will not only keep your feet warmer but it will also saves you lots of money on the heating bill. What if you want to add a new or extra bathroom to your house. It can really be a great advantage especially if you are having guests stay over night. You know how it can be when you only have one bathroom and you have gusts staying. Trying to share one bathroom can be very frustrating to say the least. There can be a lot of reasons that you need a good company today and in the future. But you can always count on us to take care of your problems and get back to your regular everyday life and routine.